All banks are open Monday - Thursday 08.00 - 14.30 & Fridays 08.00 – 14.00. Saturdays all banks are closed. Most hotels and some car rental offices do change foreign currency usually at a slightly higher rate. To get cash with a credit or debit card there are ATM machines outside most banks but you will need your pin number. If you do not know your pin, you will have to go into the bank and they will debit your card for the cash. The ‘Property Manual’ has the location of the nearest bank or ATM to your property. Card holders of a NON-Greek Bank are able to withdraw as much as the cardholder's limit allows ie. there are no restrictions on withdrawls in cash. 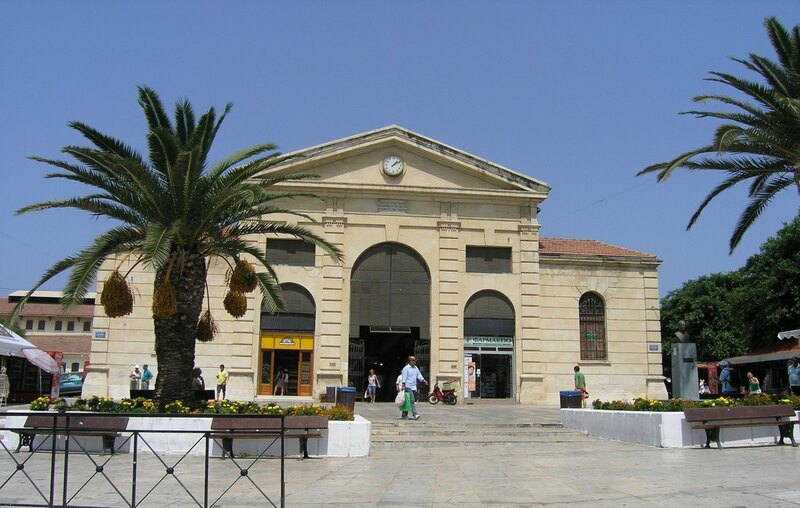 There are Post Offices in Chania and most of the main villages. However the quickest way to send postcards is to buy stamps from the mini-markets and kiosks then post in one of the yellow post boxes. Stamps for Europe and the USA are €0.75. Mini-markets sometimes charge a few cents more & can tell you where the nearest post box is located. You can buy a phone card from most kiosks. One card costs €5 which gives you 100 units. Just put the card in and press 'i' for instructions in English and dial your international call (Dial 0044 for UK and remove the 0 on your area code) and watch your units being eaten away. These cards can be used for local calls too which use only a few units. For lengthy long distance calls you can purchase calling cards to use from any touchtone phones. Available in 5€ 10€ & 20€ from kiosks, some newsagents and mini-markets. Cards such as Face, Smile and Netlink will give you approx. 160 mins for 5€. Most shops now have wifi & in certain spots there is the town council 'free' network (a bit slow) but almost everywhere there is wifi. When using your mobile from abroad, you roam between networks depending upon the frequency and your location on Crete. Cosmote, Wind and Vodafone are the three Greek networks. here are plenty of goodies available; depending on how much you want to carry back home and how much you want to spend! Several souvenir shops are located in almost any town nowadays and usually have a wide range of items such as:-Ceramics, leather goods, jewelery, sponges, t-shirts, embroidery, icons, spices, rugs and the list continues. Haggling is not especially encouraged but discounts are often offered on larger purchases. The North West coast of Crete is traditionally famous for leather goods. It is best to find a shop that sells strictly leather goods for the best selection and sometimes the better prices. An example of this can be found in Chania at ‘Leather Lane’ located on Skridlof Street, just off the ‘Agora’ fish exit (West exit). All kinds of leather goods are sold here, you could even get a pair of Cretan boots ‘custom’ made! Most tourist shops have a range of ceramics but it is best to look out for the shops that have their workshop on the premises. The village of Margarites, inland from Rethymnon, is also a well-known pottery village. Hand-made gold and silver jewelry is definitely eye catching and the range of items is enormous. If you are the serious buyer and are looking for that something special you will be amazed by the range and choice in most localities. Chania is big on jewelry and apart from the conventional jewelers there are many ‘craftspeople’ making original and unique pieces. Crete is a very individual island and this is best reflected in the traditional designs and embroideries of carpets, blankets and lace products. Of additional interest may be the silk farm at Kalamitsi between Georgiopoli and Vamos. The Small Industries Park (off the National Hwy- see Map 4a) has a couple of shops where you can actually see them making the goods & you can buy from them as well. Plus the Glassblowing Factory in Kokkino Horio is also worth a trip if you want to see them making the products & you can buy from them locally. Tue & Thur & Fri evenings 18.00-21.00. The Souvenir Shops are usually open all day until late in the evening as well as mini markets in resorts. The highlight of going into Chania for the day is to go to the AGORA (Covered Market) in the centre. Although this was ‘the’ place to get fish & meat before the days of the supermarket- it is now still patronized by locals in Chania as well as the addition of a few more souvenir shops. 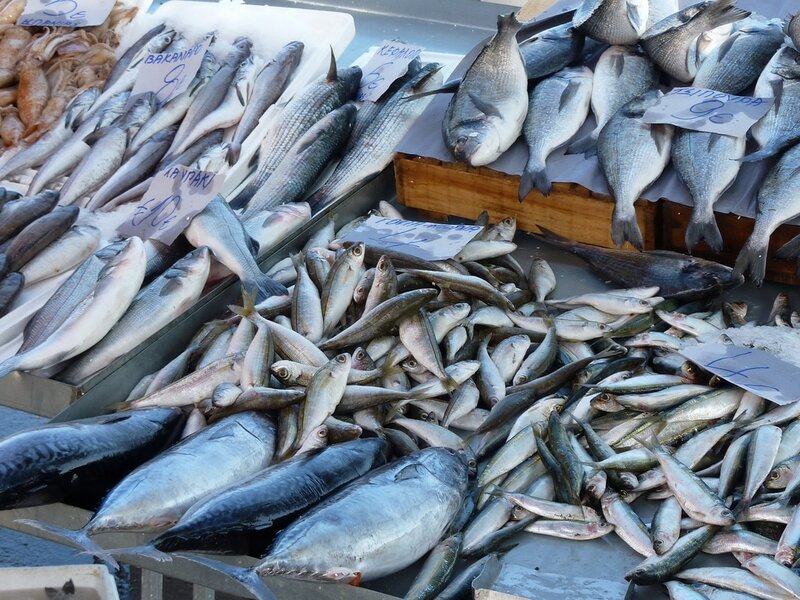 Fresh fish (available only in the morning), meats, vegetables and other local goodies can be found here. You won't be able to bypass the Gymithakis Bakery located in the north wing, third shop on the left, as the aroma of fresh bread is irresistible. Also there are selections of Cretan herbs and spices and locally produced thyme scented honey. There are a couple of eateries where you can actually see what is in the window (very reasonably priced), a great place to people watch & sample local food. 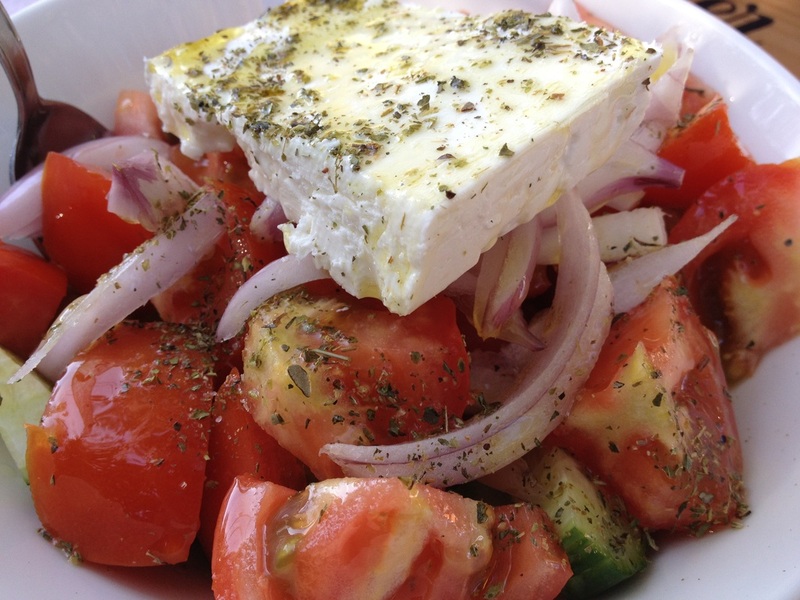 Agora hours: Mon-Sat 7.30am-2pm and Tues & Thurs & Fri 9pm-9pm. 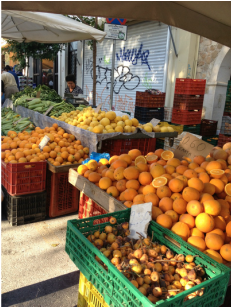 f you're up early in the morning and ready for some hustle and bustle, head down to one of the STREET MARKETS in Chania located on Akti Kanari Str on Thursdays or on Minoos Str on Saturdays & just off Markou Botsari on Wednesdays. You can find almost every kind of fruit and vegetable depending on the season, as well as cheeses and meats. There are other goodies such as shoes, clothes, carpets and buckets too! ​Market hours: 7am-2pm. The earlier, the better choice you have. 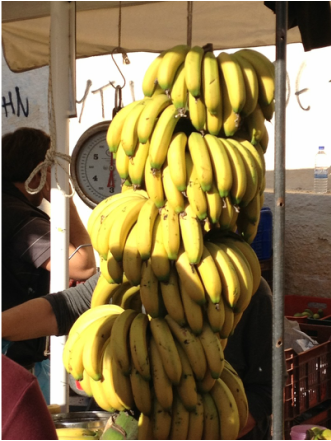 Cretan bananas - grown in the East of Crete. Cretan wines (krasi) usually taste better when eating the local dishes, especially the ‘village wines’ or ‘house wines’ (hee-ma) from the barrel. You can order the wine in tavernas ½ liter- so if only one person wants to drink you don’t end up with a huge bottle. It is much cheaper than the bottled wines but you need to acquire the taste for it! The red, can be very potent but the white is usually lighter, but definitely eat with the wine!! Raki or as the Cretans call it ‘Tsikoudia’ is a strong spirit made by distilling the crushed mash after the wine juice has been pressed from the first grapes. Homemade tends to be best, again this can be bought from the barrel but TRY IT FIRST as the arcane production process tends to be variable. A great digestive though, when taken with something sweet. It is usually given complimentary after a meal in a taverna along with a sweet of some sort. Rakomilo is rather nice as it is raki with honey so a little bit sweeter. Yamas!